Serving Conroe, The Woodlands, Tomball and Beyond. 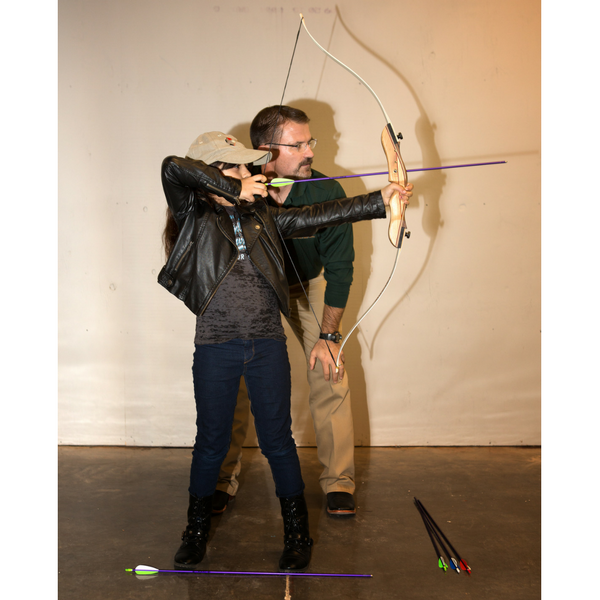 Has your son or daughter taken an interest in archery from the growing popularity of Merida, Katniss, and Hawkeye? We now offer group introductory archery classes! There is no long-term commitment! Bring your son or daughter, age 6 and up, to learn safety, proper shooting form, and how to enjoy the sport of archery! Pricing is $30 per class if you bring your own equipment and $40 per class when using rental equipment. All Saddle River Range Members receive half off! Please call our Archery Department at (936)271-2620 to reserve a spot. *We offer Rental Equipment for an additional $15 in store! *Cancellations can be rescheduled, no refunds. *To reschedule a class please call our archery department at 936-271-2620 ext 103. Please call our archery department at 936-271-2620 ext 103 to schedule your lessons.